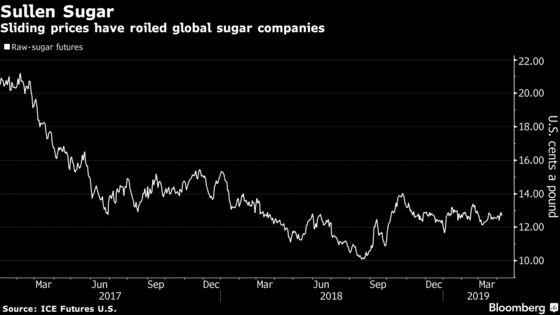 (Bloomberg) -- One of Asia’s biggest sugar refiners is in talks to sell the sweetener in China, seduced by the country’s “new generation” of consumers. MSM Malaysia Holdings Bhd. is nearing the final stages of discussions to set up partnerships in China’s downstream sugar industry, Executive Director Khairil Anuar Aziz said. The refiner is looking to sell sugar for popular snacks such as bubble tea, health drinks and bread, as well as healthier sweeteners, condensed milk and molasses used in alcohol. MSM’s wager on China follows a tumultuous time for the global sugar market, which has been one of the worst performers in recent years. The more-than 40 percent plunge in futures in the past two years has hurt firms from Germany’s Suedzucker AG to major Singaporean food trader Olam International Ltd. MSM hasn’t gone unscathed, with dwindling sales leading to a quarterly loss and shares tumbling to a record low on Monday. MSM shares in Kuala Lumpur rose as much as 4.7 percent to 1.77 ringgit ($0.43) on Tuesday. MSM is hoping China can help turn things around. The refiner, the world’s sixth largest for standalone capacity at 2.25 million metric tons per year, sees China as Asia’s next biggest sugar market as the younger generation become increasingly busy and pick up easy-to-eat sugary snacks on the go. Consumption in China is forecast to rise to more than 15 million tons in the year ending September 2019, according to the Ministry of Agriculture, while the OECD sees the country becoming the world’s top sugar importer by 2027. The Chinese are also munching more snacks, helping drive sugar usage. Euromonitor International sees snack consumption expanding by 13 percent to 13.5 million tons by 2023 from this year. MSM expects sugar prices to improve in the second half of 2019 as the global glut moves to a deficit, albeit a small one. Raw sugar for export may average 14 cents a pound this year, as Brazil converts more of the commodity into ethanol and crop-unfriendly weather in some Indian producing regions cuts supplies, Khairil said. Sugar in New York was at 12.68 cents on Monday. Recovering prices, as well as forecasts for a stronger Malaysian ringgit, should help MSM shore up cash for new investments, Khairil said.